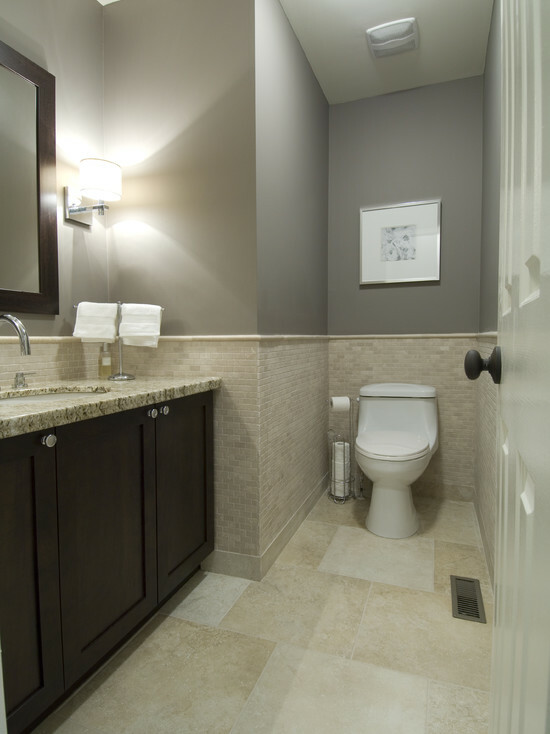 A bathroom renovation is one the best ways to maximize your home’s value, and beyond that, our Calgary bathroom renovations give homeowners a spa-like retreat every day. Just imagine…it’s been another long workday. The commute was brutal and your desk is covered in work that didn’t get done. 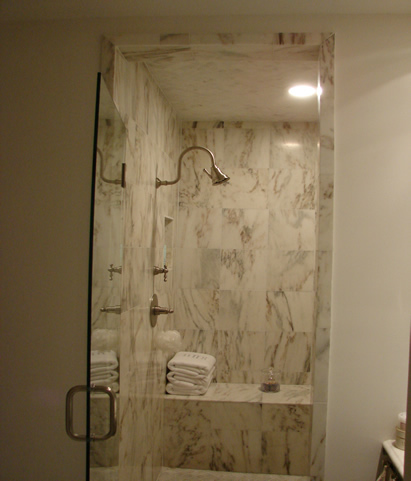 You get home, open the bathroom door, and are greeted with an oversized inviting bathtub, a fireplace, a warm built-in bench and custom rain shower. The in-floor heating is a treat during Calgary’s cold winter days, and stone tiles make you feel like you are in a luxury resort. 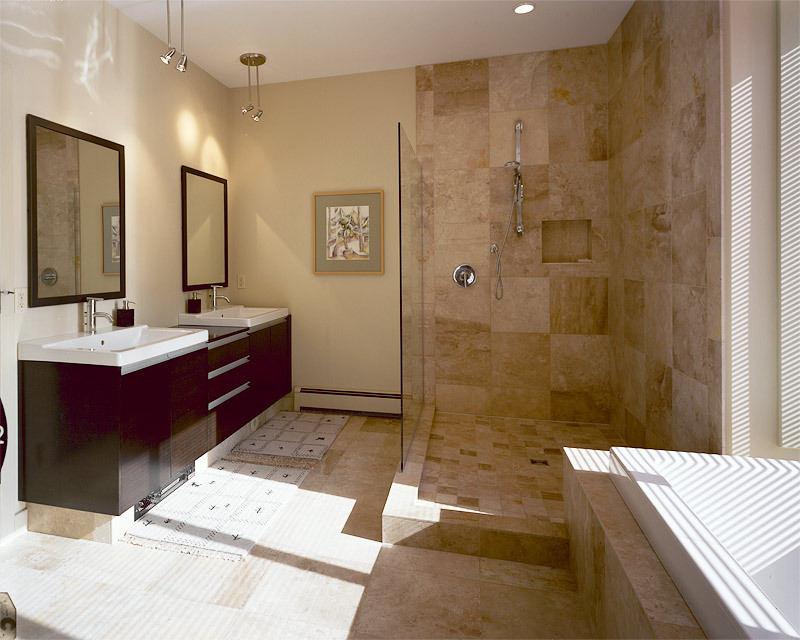 All this – and more – can be yours when you engage the best home renovation Calgary company to take your bathrooms from standard to exceptional. 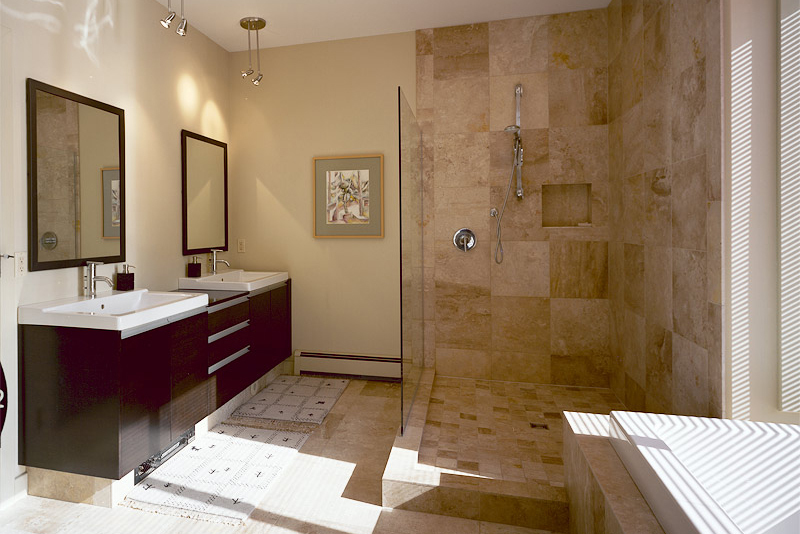 We’ve heard it time and time again – once we renovate a bathroom in Calgary, it becomes the homeowners favourite place! It may seem like a funny thing to say about a bathroom, but the luxury of having your own, private, spa-like retreat really does have a positive impact on your day. You’ll find yourself feeling more relaxed and taking the time you need for self-care, such as soaking in the tub with a glass of wine, massaging out sore muscles from the gym with the rain shower, or even just hiding out away from the rambunctious kids for a few minutes on a soft bench in a quiet room. Your personal spa awaits! 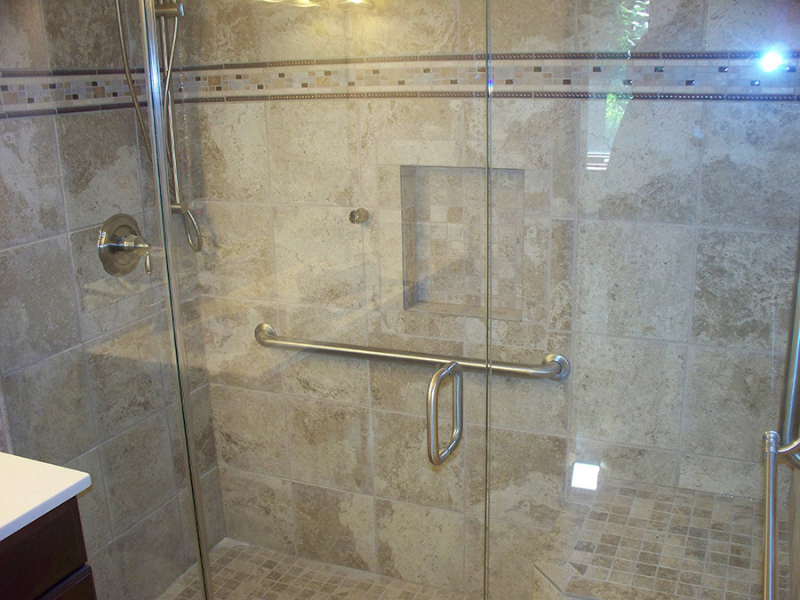 Let the design + remodel + resale team at HomeFix™ work with you to transform your home today. Contact us for a consultation. Email: info@thehomefix.ca or phone: (403) 612-7225.